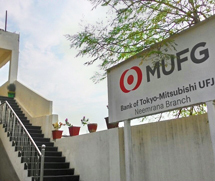 MUFG opened for business in Neemrana, Rajasthan, in November 2012, close to the Neemrana Industrial Park where many Japanese corporates are located. Neemrana is an ancient town situated about 122km from India's capital, New Delhi, on the Delhi-Jaipur Highway. The area is a growing industrial hub whose infrastructure is being developed as part of the Delhi-Mumbai Industrial Corridor Project. Unclaimed Deposits / Inoperative Accounts in Banks- Display list of Inoperative Accounts, the list of unclaimed deposits / inoperative accounts which are inactive / inoperative for more than ten years are displayed below. For identification purposes, please provide original documents at the branch. We require separate documents for (1)proof of identity and (2)proof of address. These documents must include the name, date of birth and current residential address for each account holder. Note : Bank may request for any further specific / additional documents. 3. For more information, please contact us. 1. As per 'Guidelines on composition of capital disclosure requirements' dated 28 May 2013, banks have to maintain a regulatory disclosures section on their website, where all the information relating to disclosure of regulatory capital is made available.